If you click on the link you will be able to preorder the book from Penny’s website. 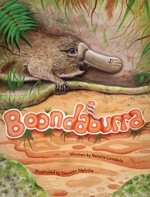 Narelle: I really enjoyed reading this delightful children’s book. Tania Abbey is the kind of girl you’d like your daughter to befriend. She is kind, thoughtful and not afraid to embark on a few adventures. Pepperoni is a cute mouse who plays a pivotal role in the story. The story flows well and we gain an insight into Tania’s faith as she deals with various issues, including her brother’s accident. 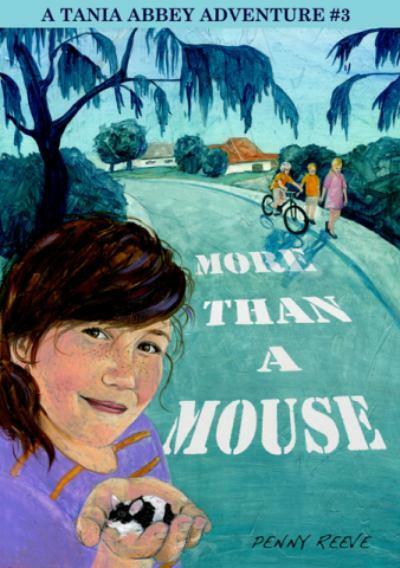 I was a little confused by the significance of a couple of minor characters until I realised More than a Mouse is not the first book in the series. I recommend this book to children who are looking for an engaging story that reveals Biblical truths. 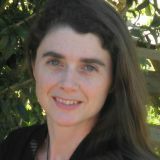 Narelle: I really enjoyed reading this book and I asked my daughter to provide her thoughts on the story. 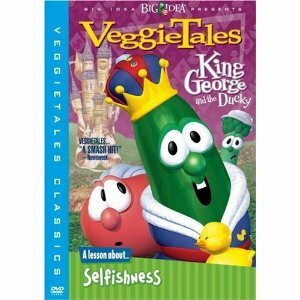 Deborah: If you have never watched a Veggie Tales DVD, then you have been missing some of the cleverest, funniest, most poignant and silliest cartoons ever. 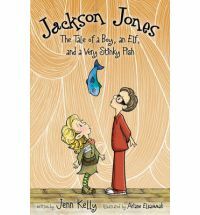 Many of the “Tales” are based on familiar Bible stories, packaged to be memorable and fun for children and adults alike. This medieval-style tale of a selfish king (played by Larry the cucumber) is the “G” rated version of David and Bathsheba. Like David, King George is not at war (the Great Pie War) but instead spends all his time in the bathtub. One day King George sees someone else having a bath singing lovingly to their rubber ducky, and he is overcome with the desire to take the ducky, despite having a whole cupboard full of duckies of his own. He sends the ducky owner to war, puts him in the frontline and steals the ducky. When “Melvin the wise man” (played by Pa Grape) confronts him with the same story Nathan tells in the Bible, of the poor man and his lamb, King George is outraged and condemns himself. In this cartoon version he is able to “make it right” and it all turns out well, but the point is still made.